Food is fun, and kids know it. It seems like children are natural born foodies. Babies enjoy getting food on their little hands and faces and big kids enjoy using their imagination to create smily faces on their plates with their spaghetti. If You have a little foodie in your home then this is the perfect time of year to give them something that encourages their love for food and for fun. 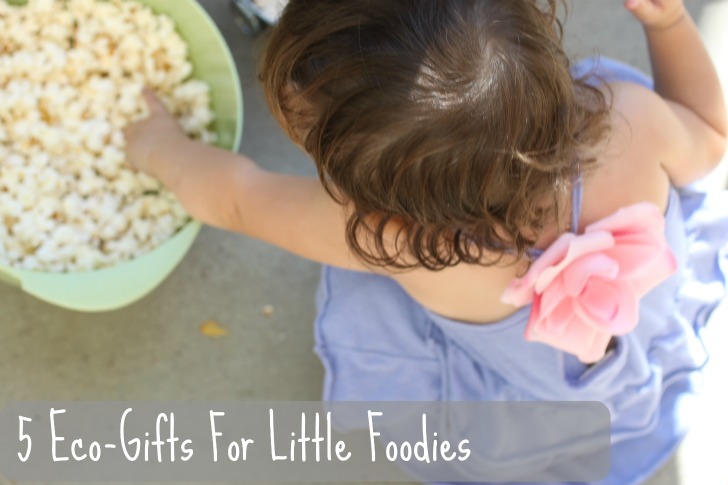 Here are five gift ideas your little foodie will love. This is the perfect gift for the child who is too busy to stop his play to eat his food. Do you know any train lovers, any little boys or girls who spends hours building railroads on their train table or on the living room floor? Is so this gift is the perfect addition to his collection. Give your child the gift of un-soggy cereal and yourself the gift of not wasting food. My children love cereal but if it’s soggy they refuse to eat it. 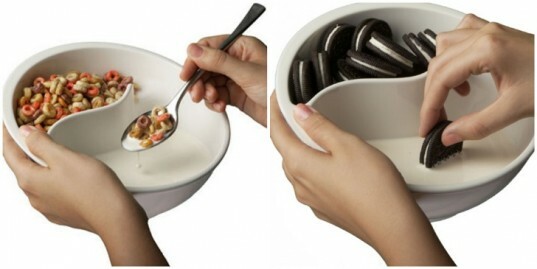 This bowl is ideal for the cereal lover who loves a crispy cereal at every bite. It can also be used to dip cookies, dip chips, or as a soup bowl with crackers at the top. This is the perfect lunchbox for kids who would rather not have their food touch. If you have a child who freaks out whenever anything on their plates touches raise your hands. I have one too. The Goodbyn Lunchbox is great for compartmentalizing food. This eco-friendly lunchbox is made from recyclable plastic and comes with it’s own bottle, eliminating the need for juice boxes. Here is another great gift for kids who would rather their food not touch. This is also a great gift for the foodie who only likes to eat a certain kind of food, you know the picky ones. The Din Din bus platter makes meal time more fun and is a great way to introduce the five food groups. 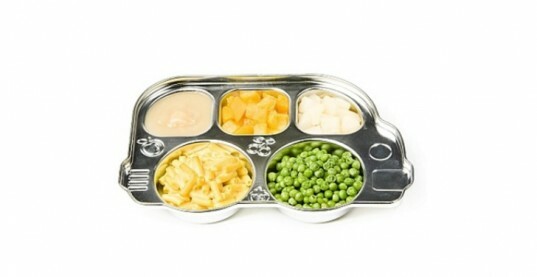 The bus platter is BPA, phthalate, PVC and lead free. Do you have a little foodie who loves some action? These cookie cutters are made from food safe ABS plastic and cut out for some serious fun. You can also use them as sandwich cutters. In other words, this set it good fun all year round. Give your child the gift of un-soggy cereal and yourself the gift of not wasting food. My children love cereal but if it's soggy they refuse to eat it. This bowl is ideal for the cereal lover who loves a crispy cereal at every bite. It can also be used to dip cookies, dip chips, or as a soup bowl with crackers at the top. This is the perfect lunchbox for kids who would rather not have their food touch. If you have a child who freaks out whenever anything on their plates touches raise your hands. I have one too. The Goodbyn Lunchbox is great for compartmentalizing food. This eco-friendly lunchbox is made from recyclable plastic and comes with it's own bottle, eliminating the need for juice boxes.